An approximately true color/contrast image processed from the image 61 raw framelets. 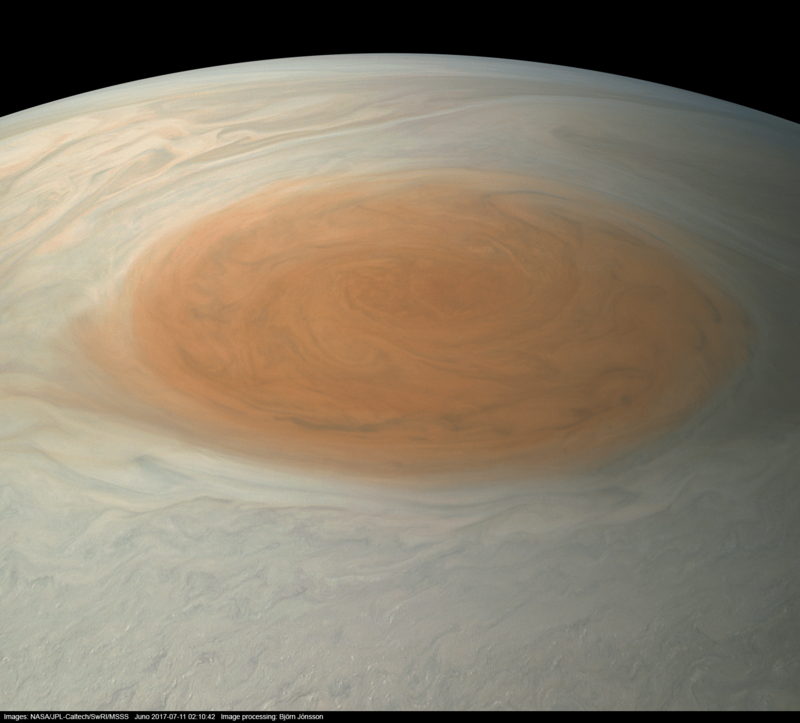 This image should give a fairly good idea of what the Great Red Spot and surrounding areas would look like to human eyes from Juno’s position. The data used to create the above image come from the Juno spacecraft’s JunoCam. After the recent end to Cassini’s mission, Juno is currently the only orbiter exploring a planet in our outer solar system.